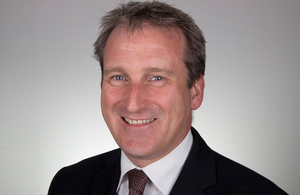 The freedom and autonomy of the academies programme has driven innovation and standards have risen in our school system, the Education Secretary Damian Hinds said in a speech today (Thursday 11 October). Speaking at the launch of the Confederation of School Trusts at the British Library in London, the Education Secretary pointed to the many successes of the academies system and the increasing number of schools making the positive choice to convert as examples of the benefits of backing school leaders. Building on the principles for a new, clearer school accountability system which Mr Hinds set out earlier in the year, the Education Secretary reiterated his commitment to holding MATs to account in a way that is transparent and fair. This will aim to give schools and parents easy access to vital information about a particular trust, and the performance of the sector as a whole. The department is undertaking a listening period with multi-academy trust leaders, school heads and school leaders to help shape the system. This follows the announcement to deliver even more transparency over academy finances, with academy accounts having to detail all staff earning over £100,000, declare contracts given to family or friends, and seek approval for all related-party transactions over £20,000 from next April. "It’s when you give good people the power to make their own decisions that you unleash their creativity and allow them to drive improvements based on what they know works. "Today I want to re-make the case for freedom…for diversity…and for accountability in our school system…for going forwards not backwards, as we strive to achieve a world-class education for every child, whatever their background. "Trusts clearly have an increasingly important role in our system and we need to make sure our system of oversight and decision-making keeps up with this. "I want to make sure that schools and parents can easily access vital information about a particular trust, and the performance of the system as a whole. "That is why I am working with the sector to figure out how this will work. In particular I want to hear proposals from MAT and school leaders; your views are crucial." The Education Secretary also backed the freedom of heads and school leaders to make decisions in the interests of staff and pupils – be it banning mobile phones or deciding on their marking policies. "We heard a couple of months ago how France would be banning mobile phones in schools. Please be in no doubt what I think about mobile phones. "I firmly believe that kids in schools should not be on their phones. I strongly support schools that ban phones. "But when people asked me if I was going to follow the example of France and impose a national ban – I said no. "Because that’s autonomy in practice. Heads know best how to run their schools and achieve the objectives they want without any unintended consequences. "There are other areas where I want to proactively stress schools’ autonomy. "Too often schools get told that my department or Ofsted expect them to follow the latest fads and fashions in the sector. "That’s why Amanda Spielman, myself and others recently made a video stressing that schools are free to follow their own judgement when it comes to lesson plans, the data they collect, the marking policies." • emphasising that only an Ofsted Inadequate judgement will result in school forcibly being turned into an academy. A consultation on these principles will be launched shortly.